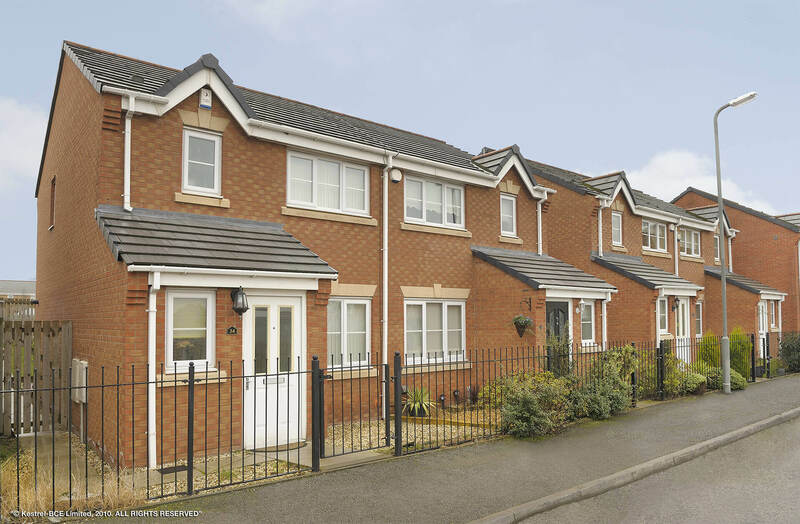 Improve the appearance of your home with new fascias, soffits and guttering. Produced in modern, long-lasting materials, these products can improve your home as well as reducing the need for costly painting and maintenance. 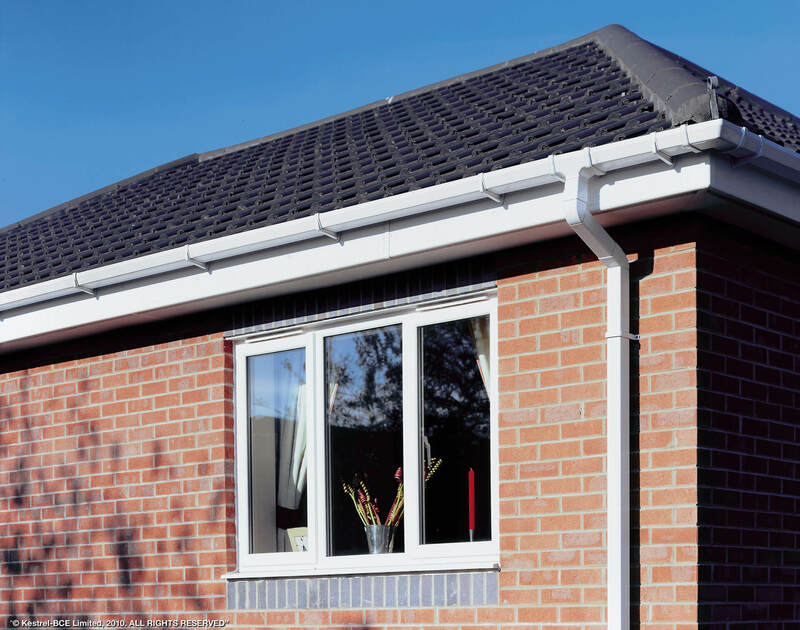 Fascias are the forward-facing strip that edges and protects the join between the roof and walls. 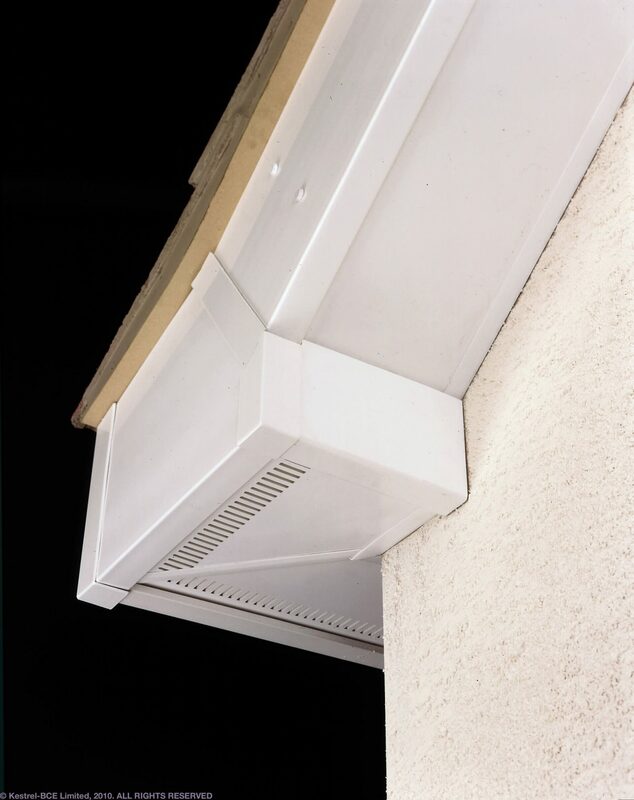 Soffits are the underneath section and gutters adjoin the fascias to collect and dispense rain water away from the roofline. 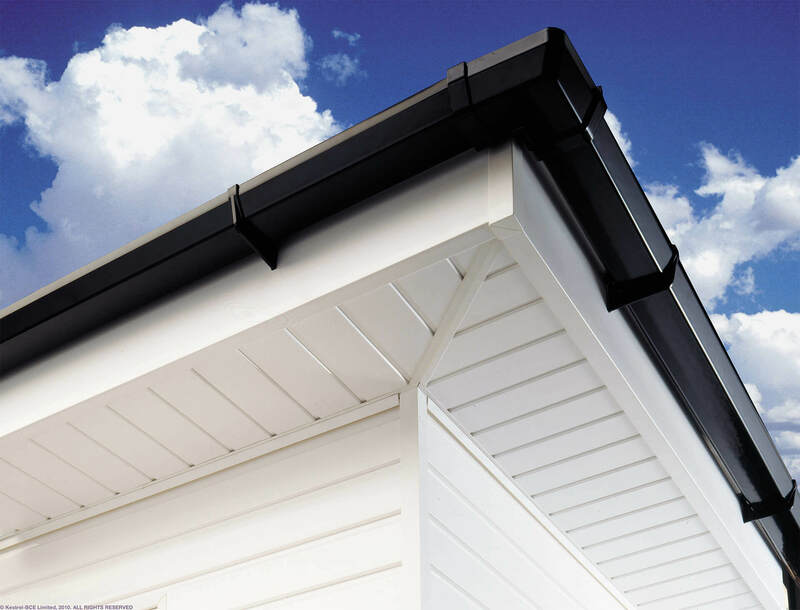 Fascias, soffits and guttering come in a range of attractive finishes and are designed to be long-lasting and maintenance free. One of the most exposed parts of any structure, particularly where wood is concerned, is where the guttering is fixed to the fascia, barge board or rafters, as this is the area where rain water collects so it is very vulnerable to fungal rot. 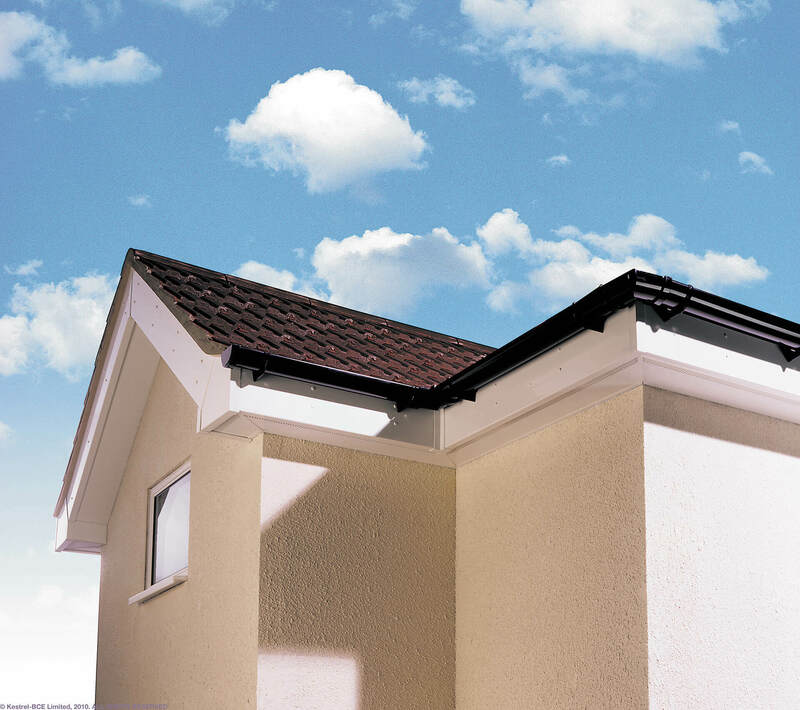 Unlike old-fashioned timber, our uPVC roofline products will never need painting. They will not rot, warp, crack or flake. They have a Class 1 Fire Rating and will maintain their good looks for years with just the occasional wipe-down to remove atmospheric grime.